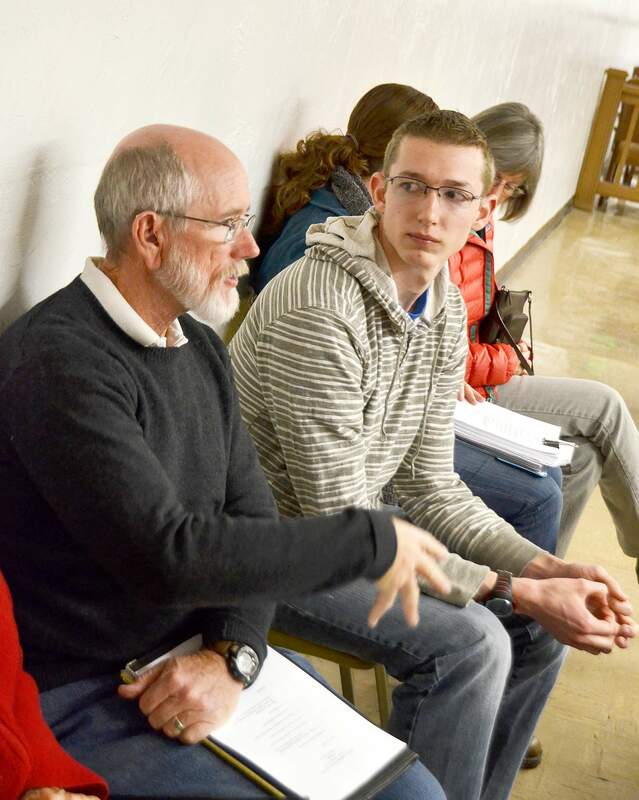 Chris Burkett, left, explains a grant to Austin Bullock during a Cortez City Council work session in 2013. Shane Hale, who will leave his post as Cortez city manager in May, has recommended Burkett fill in as interim city manager until a permanent replacement can be found. After Tuesday’s municipal election, one of the first tasks facing the new Cortez City Council is the appointment of an interim city manager, and the current manager has recommended Chris Burkett. Ever since Shane Hale announced his resignation on March 23, the council has been racing against the clock to find his replacement, as well as an interim manager who can take over as soon as he leaves town in May. At a special meeting on Tuesday, the councilors tentatively agreed to appoint Burkett, who has worked for the city for many years in a variety of roles, including Parks and Recreation director. The new council, including three newly elected members, likely will decide whether to approve his appointment later this month. The process of hiring a new city manager is a lengthy one. On Tuesday Hale recommended the city advertise the position nationally for a month, which he said was a “tight” schedule for a city manager candidate search. After that, the city will put together a résumé review committee to narrow down the applicants to 10 or 15 finalists, which the council will further whittle down to three or four interviewees. The city will begin advertising nationally for a new manager by Friday, but it also needs an interim manager who can take over Hale’s responsibilities during the hiring process. Hale recommended Burkett because he’s one of the most experienced city employees who aren’t busy running a department. During his time as head of the Parks and Recreation Department, Burkett oversaw the development of many of the city’s parks, and the construction of the Cortez Recreation Center. More recently, he wrote the grant application that allowed the city to purchase the site of the old Montezuma-Cortez High School for a new park, a project he may oversee as interim manager. Several Council members said they agreed with the choice, including Bob Archibeque, the only current member who was involved in hiring Hale.